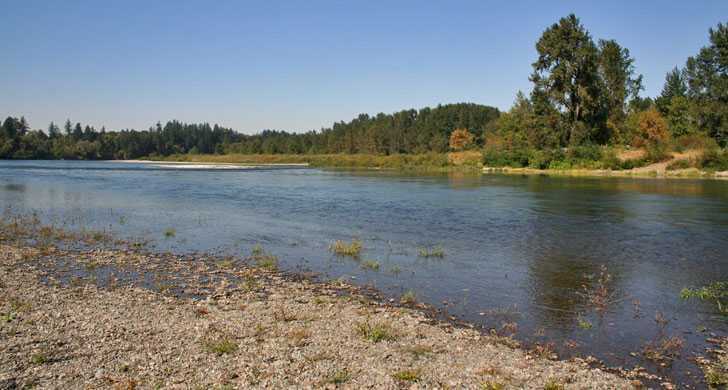 The Willamette River is the 10th largest river in the lower 48 states. Stretching approximately 187 miles, the Willamete originates South of Eugene and dumps out into the Columbia River. The Willamette is re-nowned for Chinook, Coho and Steelhead fishing and is a definite go to spot for anglers looking to experience this national treasure. Steelhead run pretty much year round and Chinook as well. Coho salmon run in the fall and offer excellent diner table fishing stories while dining on the delectable meat. Fortunately the Willamette river offers plenty of excellent public fishing access. Click the fishing access map below to view all the Willamette river fishing access points via Google maps. Coho retention is generally allowed August through the end of October, While hatchery Chinook and Steelhead are open to retention year round. This fishery generally allows 2 adult salmon or steelhead per day and up to 5 jacks per day. One single point barbless hooks are required and a variety of gear is effective. Corky and yarn, Jigs or spinners, have all been known to do the trick. Sand Shrimp, Salmon eggs, and Bait fish in the deeper areas. Shrimp, Salmon Eggs, Fish stink.